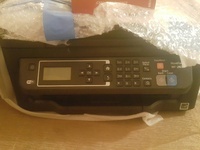 WIRELESS HP LaserJet Pro CP1025nw Color Printer. 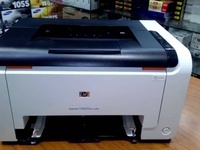 Used WIRELESS HP LaserJet Pro CP1025nw Color Printer. 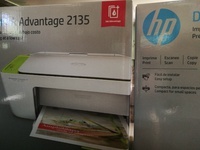 *** Includes: Printer, Power Cable, HP Disc. Connector Cable. 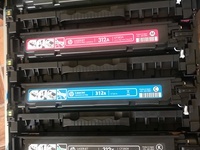 *** *** You will need to buy HP 126A toner cartridges. ~ Does Not Come With Ink! * Print from anywhere in the office with wireless. 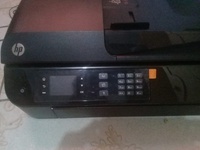 * Share printing resources using built-in Ethernet* Print documents affordably,Get the same black cost per page as a black-and-white HP LaserJet printerThe Owner is simply selling it because he will be away for at least 6 months and thinks that someone else can buy it and use it since it will not be used again for the foreseeable future! 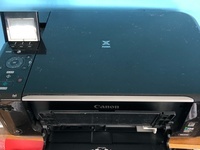 Canon Pixma MG4150 ( new ) Printer, Scanner and Copier with 2 new ink cartridges. Also comes with Manuel and CD rom. 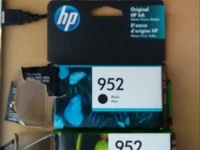 I have a set of unused hp 952 ink. 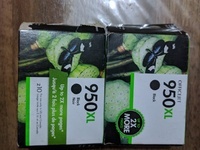 It does not work with my printer, however I'm willing to trade with someone who has 954 ink which is not in use. 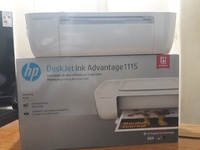 Gently used HP Designjet 44" printer. 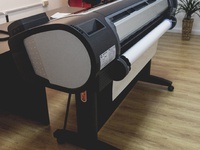 An excellent addition to any small design house or printery! 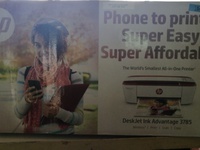 Offer large-format applications with an HP Designjet that can transform your printing experience. Impress with high-quality prints using HP inks, ColorPRO papers, and a workflow that's faster, easier, and more affordable than you thought possible.Produce a broad range of high-quality large-format applications including posters, POP displays, maps, light boxes, and canvas prints.